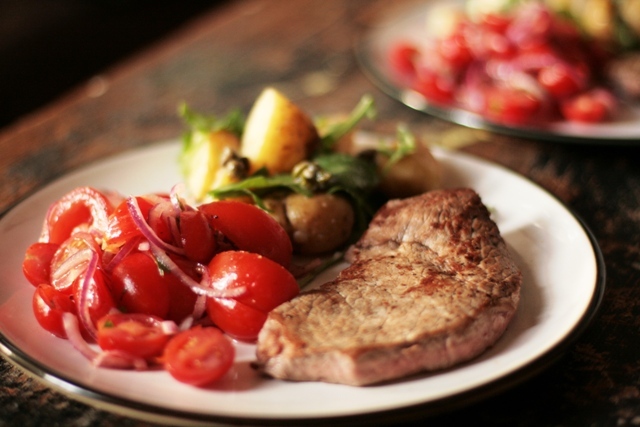 …and the leftovers were gobbled up the following night with minute steak and a beautiful tomato salad. Belting. Boil or steam your potatoes until tender. Drain in a colander and transfer to a bowl. 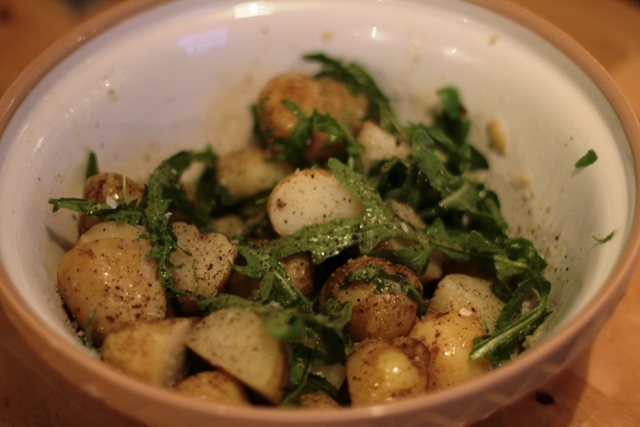 While the potatoes are still warm, stir through the rocket, capers, oil and vinegar. Season generously with salt and pepper and then toss well. Serve immediately. Insanely simple. 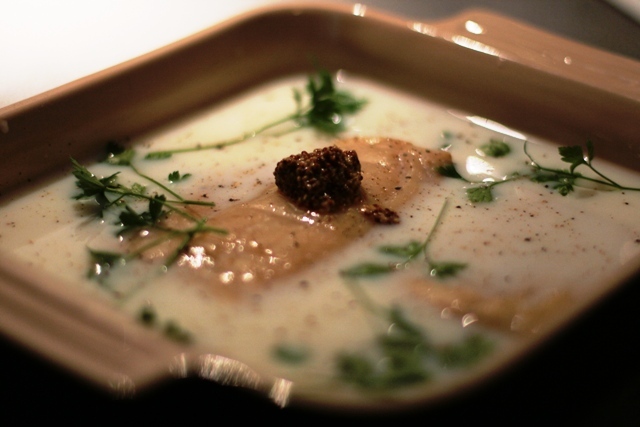 If you’re interested in how I cooked the haddock, then ’twas as follows: I mixed water and milk with salt, pepper and wholegrain mustard. 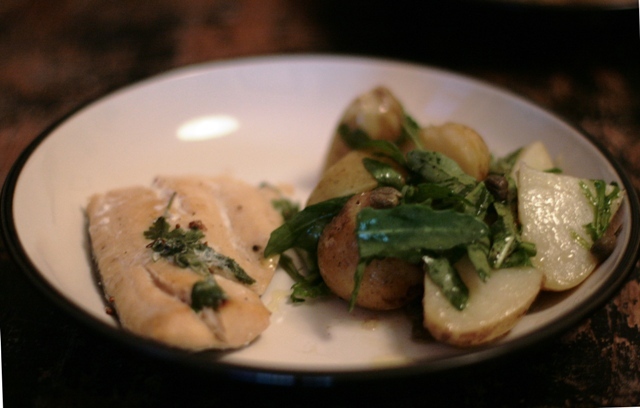 I then put the smoked fillets in a dish and covered them with the milk mixture, sprinkled with some parsley and bunged them in the oven at 200°C for around 20 minutes.